A new ‘Love Sussex’ calendar campaign has been launched to provide vital funds for a children’s hospice. Evonprint, a Sussex print, design and marketing specialists, is today launching the campaign to help Chestnut Tree House children’s hospice, near Arundel. 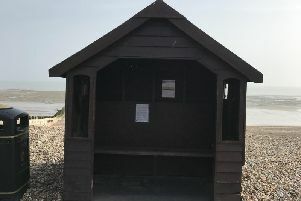 The family-run company is calling out to the county’s residents and asking them to let them know what their favourite city, town or beauty spot in Sussex is. Once all the suggestions are in, the top 12 favourite locations will be released and the next phase of the ‘Love Sussex’ calendar campaign revealed. The calendar will then be sold in local Chestnut Tree House shops and on Evonprint’s website to raise funds for the children’s hospice that provides specialist palliative care services to 300 children and young people with life-shortening and life-threatening illnesses in East Sussex, West Sussex and South East Hampshire. The deadline to put forward local suggestions is Sunday June 17 and all entries are to be emailed to lovesussex@pmwcom.co.uk or posted to Evonprint’s Love Sussex Competition, c/o PMW Communications, Stane Court, Stane Street, Billingshurst, West Sussex RH14 9HP.